It is with a heavy heart that I type the words you are about to read. I am absolutely, without a doubt, completely fed-up with the bees or as we lovingly call them – our most expensive pain in the a** since Rylee joined the family. Since my last post about the bees we have removed six – that is right 6! more hives for a total of 13 hives from our courtyard and at this point it looks like there are two more that are trying to force their way into what I am now assuming is some sort of paradise for bees – our wall. It doesn’t matter that every hole has been completely covered with stucco, the insides sprayed with bleach, and any other little crevice stuffed with steel wool and then plastered with mortar. For some reason those bees love that wall. Don’t they realize that we don’t want them there? Apparently not. I will not let them win. At this point I have given up all hope and starting spraying a combination of soapy water, pesticide and citronella oil all over the wall. I’m not proud of it and I hope Mother Nature doesn’t render my garden fruitless for it but it had to be done. Even though our apiary courtyard is causing quite the frustration and dent in our renovation budget the bees are still incredibly fascinating. 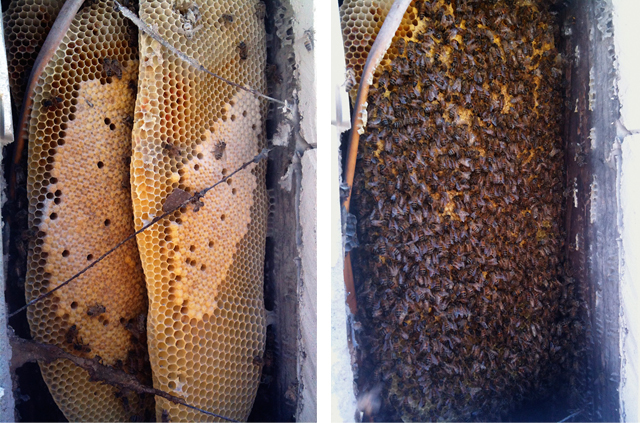 During our last removal we were able to capture the queen pretty quickly. 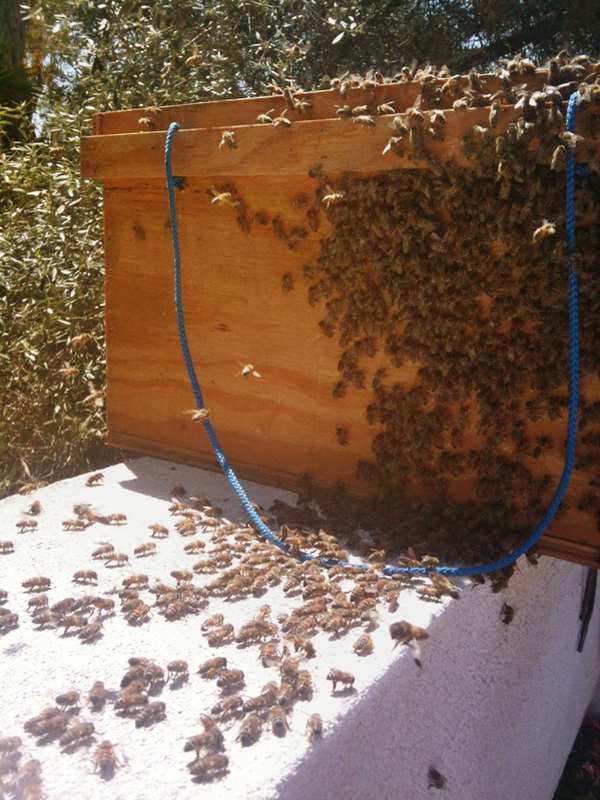 Once we framed in some of the comb and then set the box / new home near the opening of the wall the bees flooded out and began marching into their new home. It was an incredible sight. 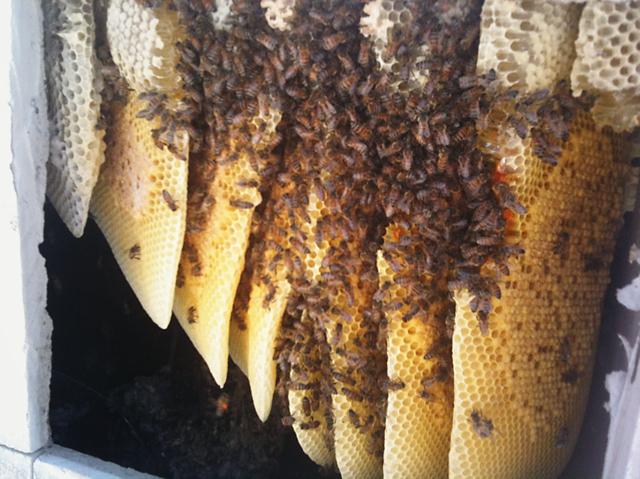 It was also pretty incredible to see how quickly they build comb. These hives were less than three weeks old! I hope that one day the bees in the wall will be a distant memory and soon we’ll be able to actually have a meal on our newly build table.